Things Fall Apart DVD and Blu-ray release date was set for February 14, 2012. Deon Barnes is a workhorse of a college football running back with dreams of making it to the pros. His mother works double shifts as a bartender and his brother Sean, not the celebrated athlete that Deon is, works full-time at a car dealership in order to pay for college. When Deon leads his team to a hard-fought victory, the glory is fleeting as he collapses in the locker room following the game. Subsequent doctor's visits confirm that he has cancer. 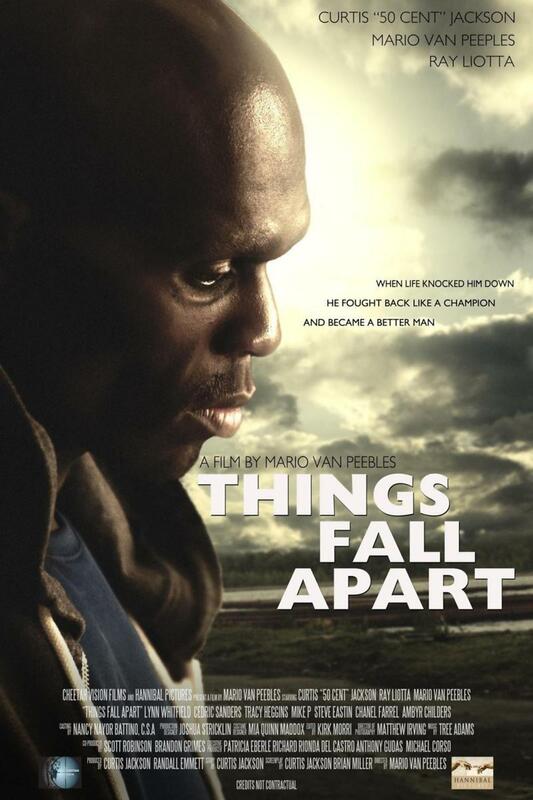 With his football dreams gone, Deon drops eighty pounds and watches his family fall apart. As the cancer spreads and Deon's time runs out, he needs to reconcile with this brother Sean, who feels bitter because Deon took the girl he liked, and try to bring some peace and togetherness to his family before he dies.